It’s quite amazing how much store golf clubs in this country put on where they are ranked by golf magazines. Both the glossy magazines, Golf Australia and Golf Digest regularly do rankings of where the best courses in Australia sit. And it must work because there are also dozens of men and women out there who set out to play all of them…from top to bottom. Surprisingly, though, only four of the top 100 share the same ranking. It’s widely regarded that Royal Melbourne (West) is the No 1 course in this country, that never seems to change, and both magazines agree on that point. 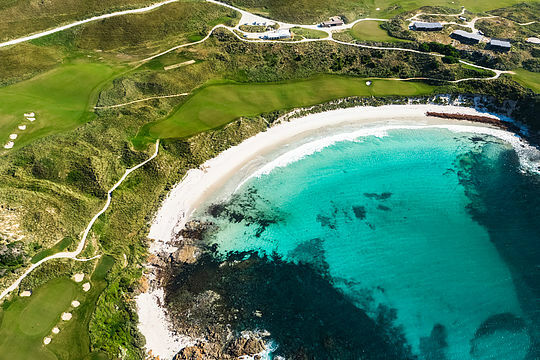 And while many are yet to play it, you can be sure the golf writers have had enough ‘junkets’ to Cape Wickham on King Island, between Victoria and Tasmania, that it has obviously won enough hearts to be rated the No 3 course in Australia. Likewise Ellerston, the late Kerry Packer’s Hunter Valley masterpiece is ranked No. 7 by both publications and the only other one to have the same ranking is South Australia’s popular Kooyonga, where the late great Sir Don Bradman played all his golf. While the rankings are usually released every two years, it’s difficult even for the reporters/ranksmen to get around and play them all every two years – otherwise they might never get any work done. But they are pretty close to the mark and it is quite amazing what a great selling point it has become for the clubs themselves. It’s even worse in the US where they put up gold plaques to tell you where they are ranked and the judges are treated like Gods when they arrive at the front gate and tell you they are there to play your golf course. But we are catching up and one thing both magazines, all the judges and probably you and I agree on as well…Australia is world class when it comes to the quality of courses we provide. And whether they are ranked one or 500, they are doing their best to give members a unique and attractive place to play golf every week. The rest is up to us…you be the judge.